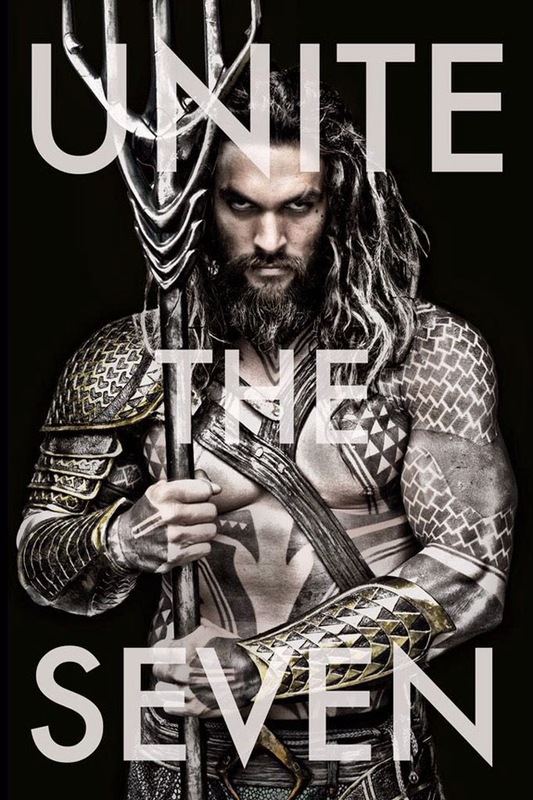 Everything has been very quiet on the Batman v Superman: Dawn of Justice front lately, so it comes a really big surprise that director Zach Snyder took to Twitter to share with us our first look at Jason Mamoa's King of Atlantis, Aquaman. Aquaman will, of course, be making an appearance in Dawn of Justice, before figuring heavily into 2017's Justice League, and then finally going on a solo adventure in 2018, but it's still a surprise to see our first look at the character so soon. Also, the 'Unite the Seven' tagline is very intriguing. It could be referring to the Seven Sea's where Aquaman makes his home, but that really feels like the making's of an Aquaman movie teaser poser, and it's far too early for that. The other possibility is far more fun. There are seven members of the Justice League, will we be seeing them revealed over the coming days? As for Momoa's look as the long running DC character? I do like it, and it is in keeping with the many looks the character has gone through over the years, but it could be just me, but I can't get passed that it is basically Khal Drogo holding a trident. What do you think? Sound off with your thoughts below. Batman v Superman: Dawn of Justice hits cinemas March 25th 2016.